Justin Tillman led VCU with an 18-point, 12-rebound double-double in tonight’s win including a clutch overtime and-one to help seal the game. With 3.8 seconds to play and a two-point Rams lead, all VCU had to do was come up with one stop. That’s when St. Bonaventure’s Matt Mobley hit his eighth three-pointer of the contest to give the Bonnies a one-point lead, queuing the Bonnies student section to rush the floor after what looked like a dramatic win. One problem: there was 0.4 seconds to play and the Bona fans storming of the court prevented VCU from making a basketball play, thus resulting in a one-shot technical foul for VCU, a JeQuan Lewis free throw that would send the game into overtime where VCU would go on to win it, 83-77. The Rams pulled off easily one of the most memorable road wins of VCU history thanks to a little help from the St. Bonaventure student section. Lewis’ free throw was one of his 16 points in a win that saw four VCU starters in double-digits. That group was led by Mo Alie-Cox with a man’s 20 points. The VCU senior big was a force all evening, finishing eight of his 11 attempts while blocking a team-high three shots for VCU. Alie-Cox was once again joined in the paint by a big night from junior Justin Tillman who posted the games only double-double, scoring 18 points to go with a game-high 12 rebounds in the win. Doug Brooks got rounded out the list of double-digit starters, scoring 10 for the Rams, just outpacing Johnny Williams’ nine points including VCU’s final two of the game, two game-icing free throws to seal the win. 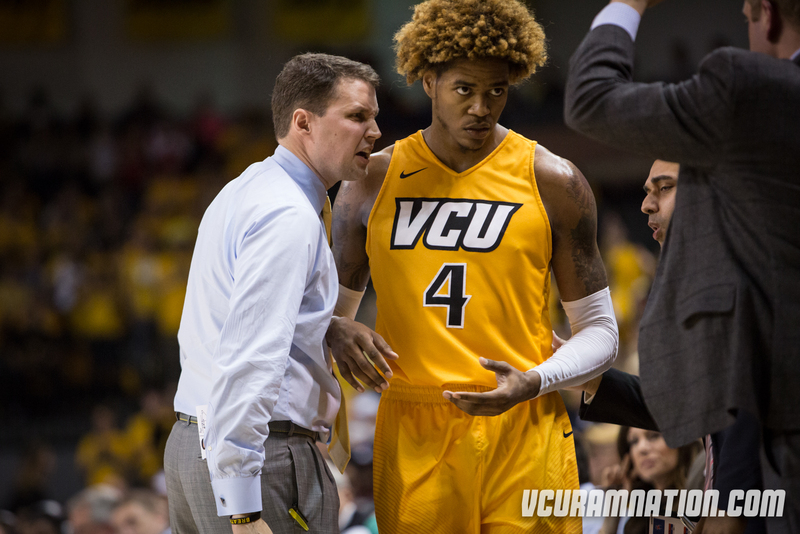 The victory is a huge one for both VCU’s at-large hopes and A-10 regular season schedule. The win keeps VCU atop that Atlantic 10 standings at 8-2 (18-5 overall) and gives VCU a head-to-head tie-breaker over St. Bonaventure, as this is the only regular season game between the two. VCU now owns a tie-breaker over both St. Bonaventure and La Salle, two teams sitting just outside of the A-10’s top-four in a league that gives its top-four a key bye game come A-10 tourney time. The win extends VCU’s winning streak to four games heading into a Wednesday night road matchup at George Washington. If Mo had 20 and JT 18, Mo led the team. Who cares…WE WON THE GAME! Go Rams!